R&B Food The Pollock Souffle - brie cheese, blueberries, almonds...R&B Food ‹ R&B Food > House of Ribs > Grilling the best RIBS since 2012. Čokoladni souffle sa brie kremom, borovnicama, brusnicama, bademima i mentom. Chocolate souffle w.brie cream, blueberries, raspberries, almonds and mint..
Čokoladni souffle sa brie kremom, borovnicama, brusnicama, bademima i mentom. 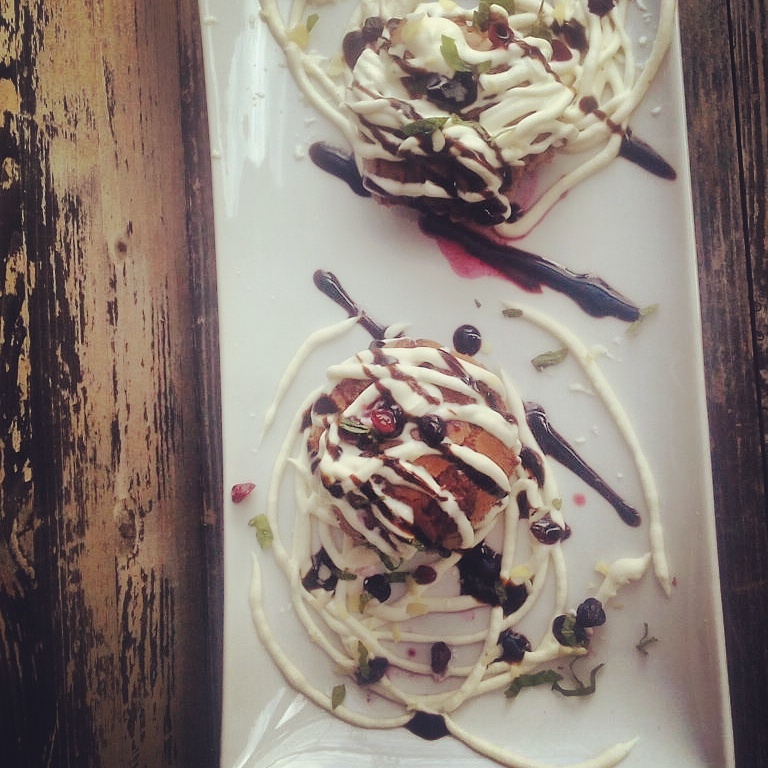 Chocolate souffle w.brie cream, blueberries, raspberries, almonds and mint..